With moving day behind us, it’s now time to update our decor! We have found some great ideas to get you inspired and that will make you want to get your tools out! 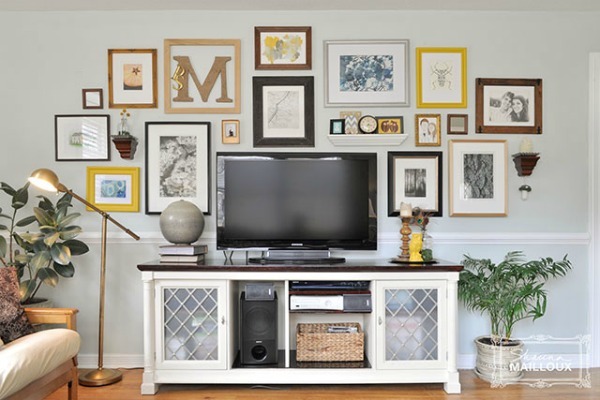 Creating a picture or artwork wall has never been so easy, thanks to these wonderful ideas. It’s so simple to arrange your frames to give some impact to a bland wall. Your decor will look like it belongs in an art gallery with these original or traditional layouts. Got some leftover planks from your newly installed floor? Get your saw and make some custom-made frames that will match your floors! Your kitchen lacks personnality? We have found a simple solution to give it a breath of fresh air! All you need is some chalkboard paint, some creativity and a kitchen (preferably!!). 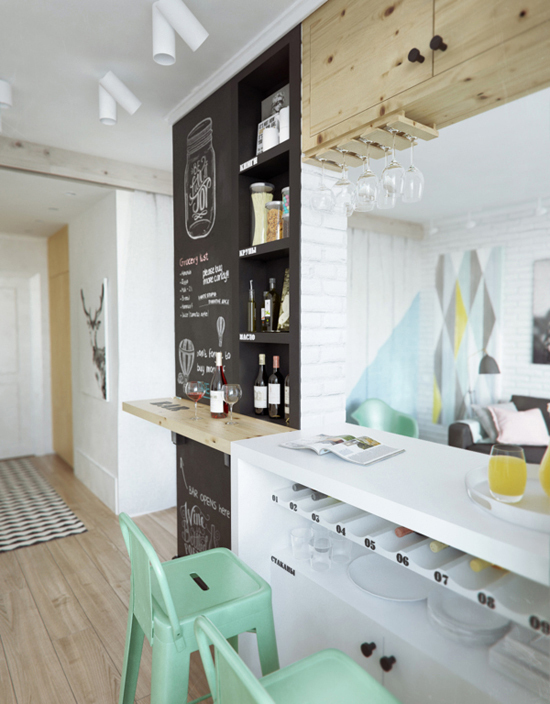 We love this idea that reminds us of the bar of a small bistro. Isn’t it inviting to sit at this bar and to talk about anything and everything? The dreaded question “What’s for dinner?” will never go unanswered with you newly painted chalkboard wall! DIY tip : why not use your leftover floor planks to build this oh so cute hanging wine glass rack? This custom-made accessory will be the envy of all your guests! Who hasn’t dreamed of slipping into one of the inviting beds that you see in decorating magazines? Their secret: a ton of cushions, an ultra comfy duvet and a grand headboard. Cushions and duvets can be found at reasonable prices, but what about the headboard? Usually quite expensive, this focal point can really put a dent in a decorating budget. 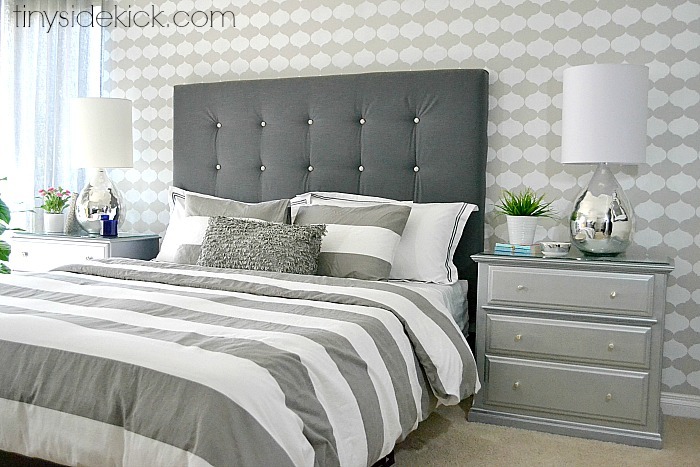 We have found this easy-to-follow tutorial so you can build a grand hotel-worthy headboard. Yes, you have to be handy, but the end result is surprisingly chic. Not in love with the upholstered look? Why not use some hardwood to create a beautiful herringbone pattern! Your living room lacks warmth? 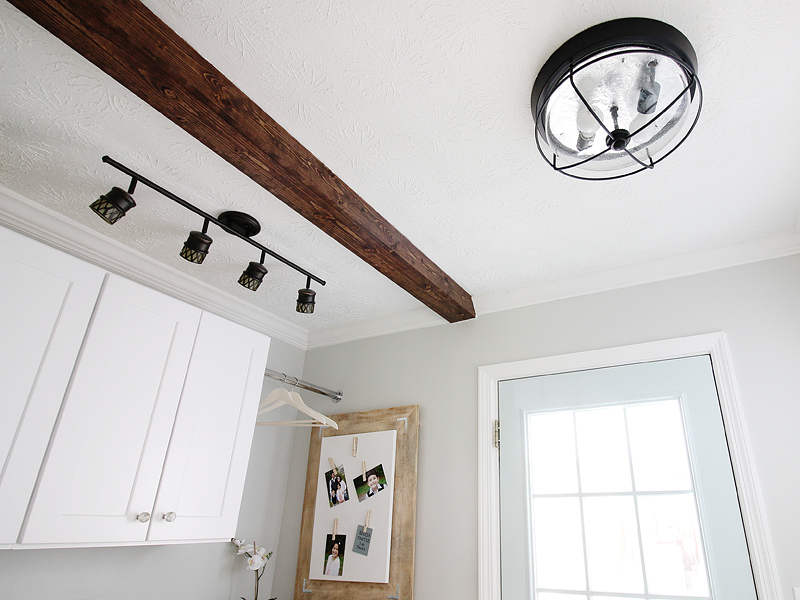 Why not give it some character with a faux beam. This project is absolutely perfect to use leftover wood! Whether it’s floor planks, 2X4s or MDF, you can create a warm and rustic look for your room. 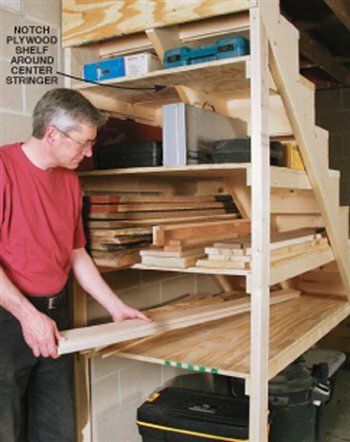 While your tools are out, why not take the opportunity to build them a custom storage? We have found an ingenious solution that will maximize your space: shelves under the basement stairs! This great idea allows you to store everything in one place, without cluttering up your space, no matter how small it is. 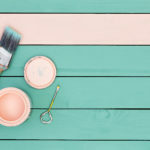 It only takes a few plywood sheets and 2X4s to complete this simple project, that will be so useful, that you’ll wonder why you haven’t built it before! With all these projects, we bet you won’t have enough wood for your next campfire!